Laurel: [to Dorothy] Don't cry at the beginning of a date. Cry at the end, like I do. Published by Jazz Workshop Inc.
By definition, and depending upon who you're talking to, `Success' can be measured in a number of different ways. It's winning the competition, celebrating a Golden Wedding Anniversary or, to many, just making the most money. The first two are absolutes; you win and you make it to number 50. No gray areas. If you're not dead, you're alive; you're either pregnant or you're not. But in regards to that third item on the list, what are the parameters by which you measure that particular success? Are there lines across which you will not step to make that extra buck? Or do you do whatever it takes-- including selling your soul and sacrificing your very identity-- to make as much of the green as you can. Is that success? Or is that selling out. Can there, in fact, be true success when ethics and integrity are absent? It's the territory writer/director Cameron Crowe explores in `Jerry Maguire,' the hit 1996 film that landed him an Oscar nomination for Best Original Screenplay, a Best Actor nomination for star Tom Cruise, and captured the award for Best Supporting Actor for Cuba Gooding Jr.
Jerry Maguire (Cruise) is a high-powered sports agent for a huge agency, handling a portfolio filled with high profile sports figures. And the name of Jerry's game is money; he gets the big bucks for those he represents, he keeps them in the limelight and in the end pulls down some mighty big bucks for himself and the firm. But at what price? 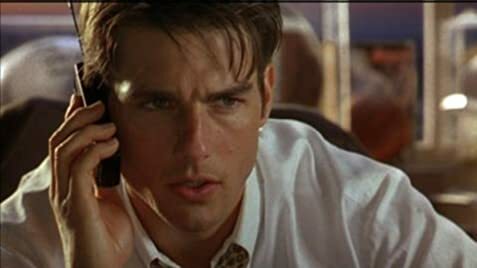 Who is Jerry Maguire, really? Has he played the chameleon for so long as a means to an end that even he doesn't know who he is anymore? Does he even consider it? If he stopped to think about it, the answer would be a resounding `No.' But then something happens. One night, he wakes up and happens to look at himself in the mirror, and for whatever reason, it suddenly dawns on him what a selfish, soulless, empty life he is leading. 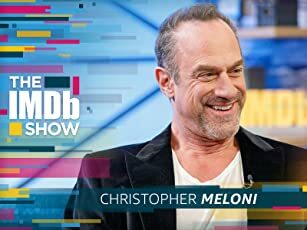 So in the wake of this epiphany, he seizes the moment, sits down at his keyboard and hammers out a `mission/morality statement,' in which he reorganizes his entire approach to his career, including reestablishing parameters and setting new priorities making conscience, ethics and integrity his paramount concerns. And while still riding the high of his nocturnal enlightenment, he goes to his office, makes copies of his statement and distributes it to the mailboxes of everyone from his boss on down. Then he goes home and goes to bed. In the cold light of morning, however, he realizes what he's done and races to his office to avert disaster. Too late. He enters the room to a hail of praise and appreciation from his peers, but his boss is less enthusiastic. It's no surprise to Jerry, then, when the big `M' his superiors are interested in turns out to be `Money' and not `Morality,' as in `Money talks, Jerry walks.' And just like that he's out the door. But before he leaves, he vows to make it on his own. He's up, he's positive, he has his statement-- and he doesn't have a clue what to do next. What he does know is that the adventure of a lifetime is awaiting. And the world is about to meet the `real' Jerry Maguire. Cameron Crowe made his debut as a writer/director with `Say Anything' in 1989, in which he first exhibited that keen insight into the human condition that has been one of the trademarks of his success as a filmmaker. 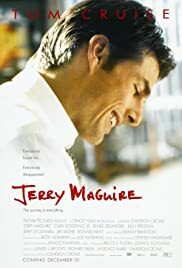 In `Jerry Maguire' he demonstrates again that acute sense of knowing what makes people tick, and leaves no doubt that he knows how to convey it to his audience. Crowe's story, as well as the presentation, is original and imaginative, and he fills it with real characters involved in very real situations. And it's the characters that really sell it, because these are three-dimensional people, not just cardboard cut-outs, and moreover, Cameron knows how to get the best out of his actors to really bring them to life. Tom Cruise was the perfect choice to play Jerry; he has the look, the energy and the talent to get inside this guy's skin and make him tick, and he successfully channels his natural exuberance into his character, tempering his performance just enough to make it really work. An Oscar nomination does not come cheaply, and Cruise certainly deserved the one he received for his work here. Cuba Gooding Jr.'s performance is deserving of the acclaim he received for it, as well. As Rod Tidwell, the pro football player/client who sticks by Jerry and insists that he `Show me the money!' Gooding equals, if not surpasses Cruise's level of enthusiasm with a vibrant and rich portrayal that makes Rod one of his most memorable characters. Like Cruise, Gooding is perfectly cast and points up, again, what an acute sense Cameron has for who and what will work to bring his story so convincingly to the screen. Not to be outdone by her co-stars, Renee Zellweger gives an endearing performance as the vulnerable but steadfast, single mom, Dorothy Boyd. She's such a `giving' actor, and she endows Dorothy with a gentle, caring manner that expresses her deepest thoughts and feelings so well. Her reaction, in the scene in which Jerry tells Dorothy-- with his back turned to her-- that he has broken up with his fiancee, Avery (Kelly Preston), is priceless, and alone makes this film worth watching (repeatedly). Her work here is every bit as Oscar worthy as Cruise and Gooding's, and it's hard to understand why she was overlooked, as she is such a vital presence in this film. 9/10. The supporting cast includes Jerry O'Connell (Frank), Jay Mohr (Bob Sugar), Bonnie Hunt (terrific in her role of Laurel Boyd, Dorothy's sister), Regina King (Marcee) and Jonathan Lipnicki, unforgettable as Dorothy's precocious son, Ray. A triumph for Cameron Crowe, this movie is, indeed, magic. 96 of 131 people found this review helpful. Was this review helpful to you?